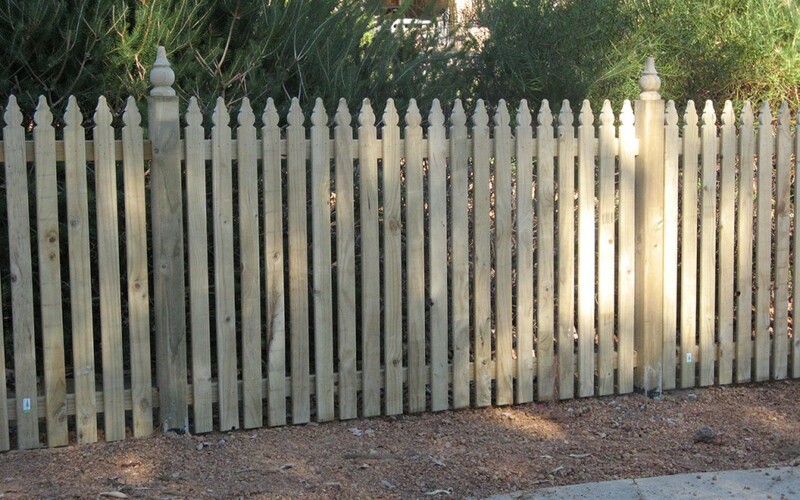 Colonial picket fencing offers a timeless and classic look that is synonymous with the idea of the Aussie dream. We all just want our little patch of grass with a white picket fence, and some things never go out of style. Colonial timber picket fencing has an unbeatable look that is suitable for many different fencing projects. Here at K-Line Wholesale Fencing Supplier, Perth, we understand durability of timber fencing is a concern for some clients. That is why all products supplied are of the highest quality and treated for protection against termite invasion. Standard products are available for prompt dispatch, including the standard flat top, Windsor and Saxon design pickets available. Posts can be pre-notched to your specifications on request, making fence installation easier. Get in touch with the wholesale fencing experts today to find out more about our wholesale colonial picket fencing. Buy your colonial picket fencing products wholesale through us today.